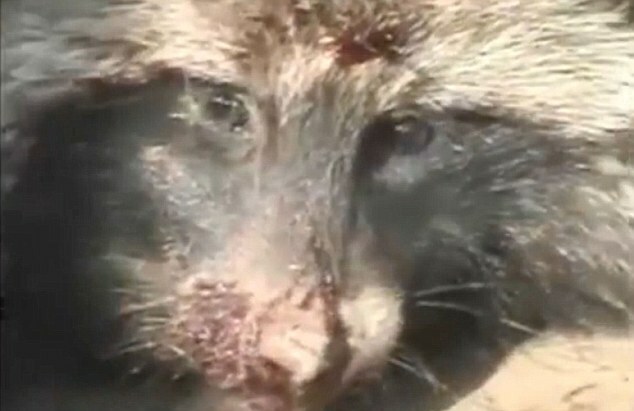 Protection 4 Animals Campaign To Stop Raccoon Dogs From Being Skinned Alive for Fake Ugg Boots, Suffering Horrific Slow, Sickening Deaths in China. 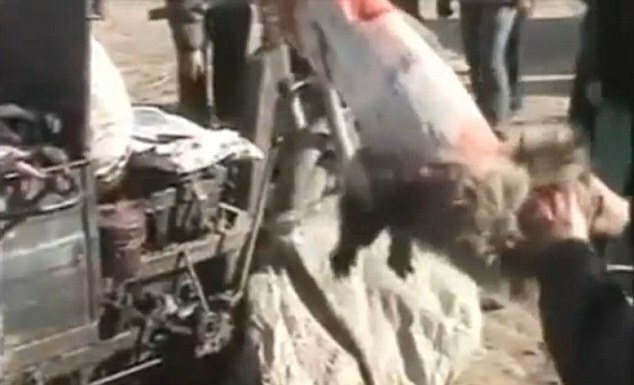 Brutal Sadistic Workers in CHINA Slowly Pull The FUR and SKIN from LIVE Raccoon Dogs, By Hand, YES This DOG Is Still ALIVE Suffering The Most Unimaginable Pain. Campaigners have found that other companies in Australia, where the popular boots are supposed to be made, are using Raccoon Dog Fur farmed in China and labelling it ‘Australian Sheepskin’. Campaigners from Humane Society International (HSI) warned that the footwear could have found its way into the UK and other European Countries. 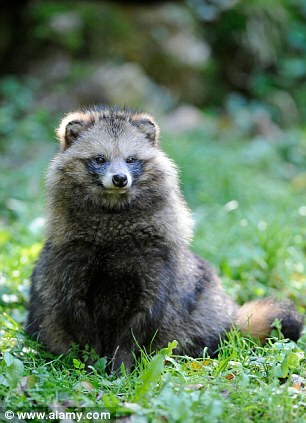 While the UK law says that no products using DOG or CAT FUR may be imported or sold in the country, there is NO BAN on FUR from Raccoon Dogs, an Asian species with links to Foxes, Dogs and Jackals. 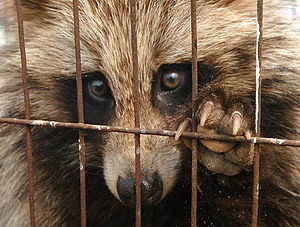 Protection 4 Animals Can Categorically Confirm: Raccoon Dogs, are DOGS, they are NOT Related To Raccoons. 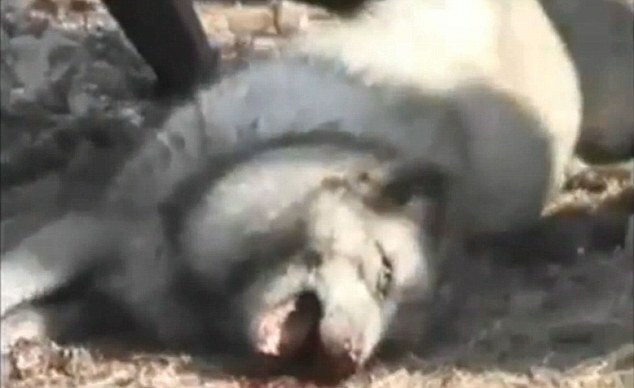 Pitiful: A Bloodied and Dazed Raccoon Dog Is Shown Still ALIVE But Helpless On A Pile Of Other Raccoon Dog, Corpses. 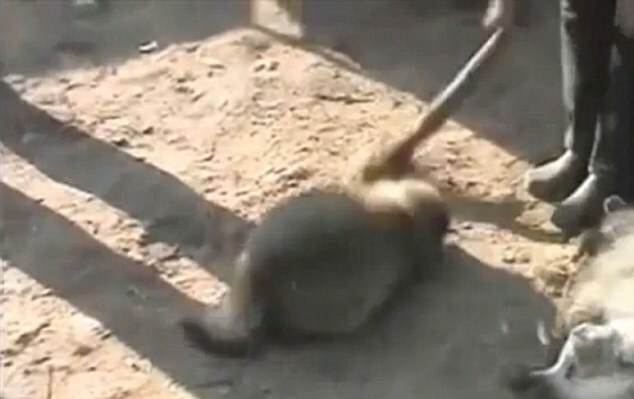 Agony: A Raccoon Dog Is Being Beaten With An Iron Bar and Kicked To Stop It Struggling So It Can Be SKINNED ALIVE. Comment – As difficult as it is was to read about and see these terrible photographs, it is important to get the word out. Most folks who buy these boots are unaware of the cruelty involved. I suggest to all: read the labels on everything you buy– if it’s not manufactured in your home country, don’t buy it. Yes, that’s time consuming and inconvenient. But it’s the only way to avoid fueling this type of cruelty. By buying largely domestic goods, you will also avoid dangerous ingredients (remember the Chinese toothpaste and the melamine in dog food) and support your local economy. – Dianne, Michigan, USA. How do you you volunteer?! I need to know because I would love to! I am covering the fur trade for a variety of magazines, ahead of NY Fashion Week. Can anyone at the group help me compile a feature surrounding action against the fur trade and groups attempting to stop illegal and immoral practices? My email is sean dot williams at hotmail dot co dot uk. Any help would be greatly appreciated. I am deeply believing in Christ, and I have to forgive, but I’ve seen the horror caused by humans that I can only ask God for mercy and forgiveness to me for not being able to forgive these … can not be called humans. Leave it to you what He sees fit, and pray send your Holy Spirit so that we can open our hearts to his love and hearts it becomes able to exercise such monstrous cruelty. 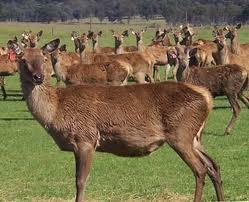 Once again China leads the way in animal cruelty. Very informative post! Petition signed and shared!